A heartfelt welcome to all my dear friends into “MY KITCHEN”…..:):)Its my immense pleasure to take you through “MY KITCHEN” and share my lovely and best experiences with u all .I wanted to start a cookery blog from a long time but never did that happen…. :( Now that my Engineering is over and I m free until November, so I thought let me start my cookery blog……..Cooking is one of my hobby and my area of interest. I am not a perfect cook like my mom though will try to post my best recipes here……. LIVE YOUR DREAMS & WISHES TO THE FULLEST …..
Hello Friends!!!!!!!!!!!!!!! 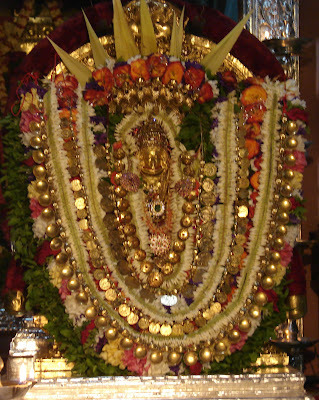 Firstly, let me wish everyone a very happy Makara Sankranthi. I hope that this festival of joy and happiness fulfills all your dreams and wishes. This time I wanted to write something that is very close to my heart .What I am about to share with you is about the best thing that happened in the year 2009, even though I still have trouble believing it myself. To be frank, the year 2009 wasn’t a pleasant one to me; I had to go through a lot of failures and tough times. But there is something that I did the best which i wanted to share it with you all. It gives me lot of happiness to share it with all my friends. Everybody on this planet has a dream, a wish, certain things and situations that they strongly desire to be fulfilled someday. But we always believe that dream is just a dream which is beyond our reach and we keep wondering about the fact how is it going to get fulfilled. We don’t even have a slightest clue of how we can bring those dreams, wishes and our desires into a reality????? So let me guess now, you're curious to know what I am about to say. OK, let me be specific I am going to share one of my deepest desires and dreams which is now a reality. I still remember that whenever I used to go with my dad to Shree Venkatramana temple at Car Street during the occasion of Car Festival, he would always say “Priyanka, today is the an auspicious day ask your best friend whatever you need and desire in your life and you will see them turn out to be a reality in no time”. As a child I never really understood the actual meaning of it .What more can a child desire other than to play with the toys it has been ever denied, to be presented with goodies and new clothes. But last year I wanted to ask my best friend something very special and important in my life. Last year on February 1st, I had asked my best friend three wishes and I had not told my parents about it anything, it was supposed to be between my friend and me. The three wishes did mean a lot to me. On that day I went early with my dad to temple to make those three wishes. My first wish had to be with regard to my academics which mean a lot to my parents. My fifth semester exams weren’t that good enough; I had found it very difficult since it had been only theory subjects. I didn’t want to disappoint my parents with my marks who have done a lot of sacrifices for me, I had tried my best but still my exams weren’t that pleasing. So I asked my best friend to do some miracle and make my parents happy with my marks. I asked him to grant me distinction tag even though I had not performed well in my exams. This was my first wish and to my surprise a week later this wish turns out to be a reality I get 80% in my fifth semester. My parents were so happy; I can’t express their happiness in just words. But I told my mom how I got 80%, I told her that it wasn’t my effort entirely it was one of my first wish that’s a reality now. She was very eager to know my other two wishes but I didn’t tell her because it was supposed to be a secret between me and my friend until it’s turned out to be a reality. After my first wish was granted I was pretty confident that my other two wishes will be granted someday. I never doubted whether it will be a fulfilled or not, I was fully confident that it will surely be fulfilled. My second wish was with regard to my career life, I asked my friend that I need to get into some good reputed company by the next car festival (i.e. on 22nd January 2010) which will make my parents very happy. Because it was a recession time then companies rarely visited campus and selected students; I was scared whether I will get through some good company, because there were so many good students who had not been placed because of recession period. But on 7th January this wish also turns out to be a reality, I am finally placed. This was a last wish which was granted and it took an entire year to be fulfilled. I must admit that I lacked patience to see this wish turn out to be a reality. But I am very happy now and I should thank everyone who morally supported me when I lacked patience. OK coming to my third wish which I thought was a weirdest one to ask my best friend. Last year on this day (i.e. 14th January 2009) I had been through a tough time. It was a starting point for all my problems that particular year. My third wish was with regard to this problem. I told my friend everything about my problems. You all may know how abhimanyu in Mahabharata entered the chakravyuha very easily but didn’t know a way out of it. I was in the similar situation were I entered a chakravyuha of problems very easily but didn’t find a way out of it. I was terribly stuck I asked my best friend to show me some light and help me to break myself free from that trap. Finally about four months ago I was able to be out of my problem. I was not completely happy about this wish being granted at first. It took me some months to accept it. As the human tendency we all look back at our life to see what happened in our life. But today I am happy that it’s all over and my life has taken a different turn. The year passed out very fast it helped me grow up, mature in many things and see that life is not very easy as I pictured it to be when I was a child. Every year it comes with a new challenge and it’s like God is saying to his dearest children: “You need to go through this, so you can became stronger, wiser and more confident than ever”. This year started with a big bang and it’s a new start in my life. I don’t care how big are my problems, how difficult is the way, there is always a hope. The three wishes are finally a reality in my life, as always had a hope that it will be a reality someday. And finally, when almost all your dreams come true, you spend a lot of time with tears in your eyes. As many great people have said “You are never given a wish without also being given the power to make it come true. To accomplish great things, we must not only act, but also dream; not only plan, but also believe”. Every person is given some power to make his wishes come true but the first and the foremost thing for him to do is to believe in his dreams and live his dreams and wishes to the fullest. As a single footstep will not make a path on the earth, so a single thought will not make a pathway in the mind. To make a deep physical path, we walk again and again. To make our wishes and dreams come true, we must think over and over and be positive that it will be a reality very soon.We need to be a little patient and believe that it will be fulfilled. Live your dream and wishes come true. At the same time transform your life into one of love, happiness, joy and success. Hello Everyone!!!!!!!!!!!!! It’s been around 20 days since I haven’t written any new article…… I am feeling very happy to write my new article. I wanted to write this article long time back but because of some reason or the other this article went on delaying...I love to share my feelings and thoughts to all my readers .In my last post “DAYS OF INNOCENCE………”, I spoke to you about my childhood days and now its time for me to write about a beautiful relationship called Friendship that values a lot in my life. I strongly believe that Friendship is one of the most beautiful and lovely relationship existing in today’s world. It’s a very precious bonding developed between at least two people. But to be frank , if 7 years back I was ever asked a question like “Is friendship a beautiful relationship existing between two people?” My reply would be no at that very moment. Nearly 7 years back, I was a person who always thought that friendship has lost its true value….there can be no one called true friend in our life. You all may be wondering what is this girl talking about, but that’s a fact “I always had negative view towards friendship”... After my schooling when I started studying my 11th standard I realized that I m wrong with my perspective about friendship and was happy to be wrong with my thinking. I met a very special friend in my 11th who made me feel and believe that friendship is very essential in our life. She told me the actual definition of friendship. From then on my view towards friendship changed entirely. Thanks a lot to that special friend of my life who made me to realize my mistake. Now if I was asked the above question my answer is yes because friendship is really a valuable relation existing in the world. 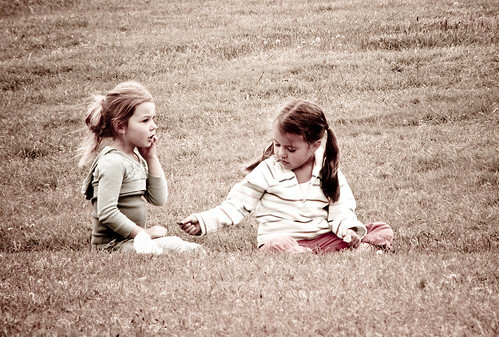 According to me, Friendship is all about sharing each other’s opinions, thoughts, dreams, fears, aspirations and hopes. You don’t mind to engage your all time in conversations with your friends. In Friendship we always feel happy to cherish old memories of togetherness and create new memories everyday. We love to spend our time with friends and always want to share our happy moments with them. Friendship requires a lot of mutual understanding, love, care and respect for each other. The word which inspires me most about friendship is that “Friendship should always be like milk and water, even when we try to mix them together they remain inseparable…..that’s a stronger bond between them”. Most of us are very familiar with the famous phrase from a Doha by Kabirdas where he tells “jal bin machli”; here he tries to explain that a fish can’t survive if ever separated from water. It’s so friendly with water that it can’t live without water. So he expects everyone to have a true friendship like a fish and water. I have always been very inspired by both the above examples. I feel bad when I see people around me who once were inseparable and together always, have spilt very badly and moved on to different ways and leading their life separately, and I cant stop myself from wondering what could’ve happened so wrong between them that they can’t even stand each other’s face? A friendship always begins with ‘no sorry no thank you’ and then later reaches the ‘best friends forever’ stage. Can it end with such a bitter note? Building up relationships is very necessary for fulfilling and leading our life happily. But every relation will have some problem. Even close friendships at times will have problems every now and then. The reasons for a split in a friendship might be many in number. But very often people always regret their past broken friendships when they look back at the pages of their life. People tend to lose their relationships because of petty differences and misunderstandings. People lose their close relations because of their silly baseless doubts and suspicions .As Lord Buddha says “There can be nothing more dreadful than the habit of doubt. Doubt separates people. It is a poison that disintegrates friendships and breaks up pleasant relations. It is a thorn that irritates and hurts; it is a sword that kills “. It’s very bad to lose our dear ones due to pointless doubts and misunderstandings. It mainly happens due to lack of trust and miscommunications. The darker side in a close relationship is mainly caused due to misunderstanding, which is a common problem in close relationships. At times people misinterpret their close ones this happens primely due to lack of communication between friends generally when busy in each other’s life and have no time for each other may eventually lead to misunderstanding. We tend to be more selfish and think only about our selves. Misunderstanding will lead to misinterpretation of positive as negative. This problem can be solved by spending time with our friends and close ones trying to communicate with them. Firstly we should understand each other very well and ready to do any help to the other. Rather than regretting later in our life for losing them in our life its better that we take a few steps towards them and try solving our differences. Trust and mutual respect is very important in any relationship, when we start to trust our close ones the problem of misunderstanding doesn’t come into picture. It can be avoided to a greater extent. Spending time with your close ones will make the bonds of your relation to grow stronger .as the sun can make an iceberg to melt similarly closeness in a friendship can make the misunderstandings and mistrust to gradually evaporate. At the end I would like to tell everyone that I took few years to realize how important friendship in our life and value associated with it, I used to regret about it but not anymore because I realized that our close ones remain in our heart and they are never lost ever since I have started to believe that “even the lost find their way home when you leave the light on”. So if you have any friend of yours with whom you’ve fought for some silly reason or have lost touch due to your busy schedules, then its time to give them a call or meet up. Friends are always friends…Every friendship goes through its good and bad phases at some point of time, but we should always remember that we can make a difference by not giving a chance for such misunderstandings and mistrust. It depends only upon us to bridge the gap with our close ones.